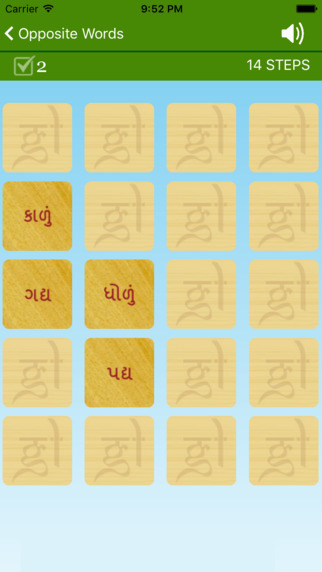 Are you ready to play unique Gujarati puzzle game? 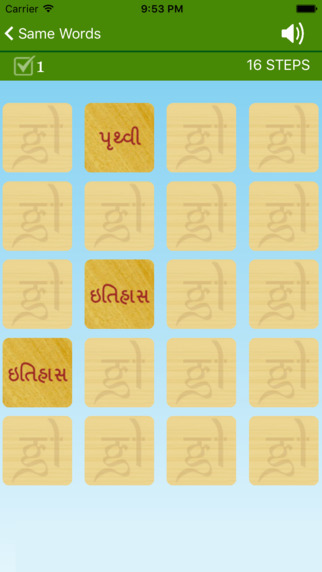 Explore the first ever Gujarati Puzzle Game ‘Word Match’. The Game Has A Board Of 20 Boxes. Each Of The 20 Boxes Contains A Word Hidden In It. 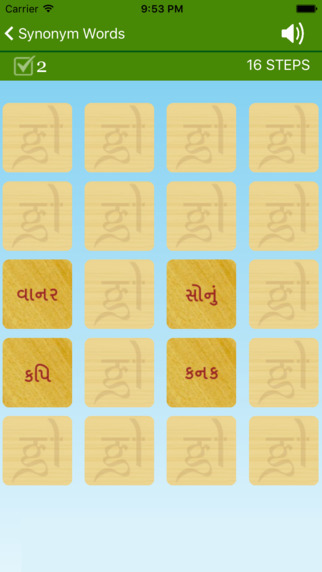 Try To Solve The Game With Minimum Clicks Enjoy !!! 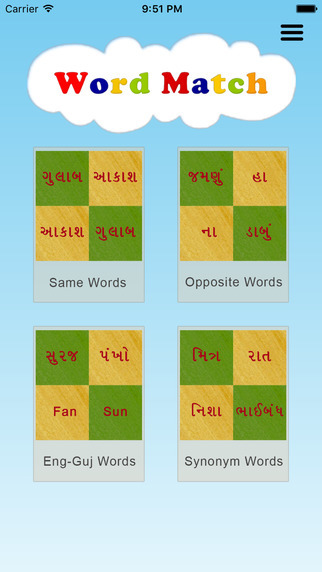 App is managed by GujaratiLexicon & Arnion Technologies.